Distillation is not a new concept. From alcohol to herbal remedies, people have been distilling things to refine, purify, concentrate, and extract volatile components since the Babylonians in 1200 BC. Why this brief history lesson? Because a contemporary approach to this age-old practice results in something awesome: Distillate of CBD. Though the methods have changed, the practice of separating molecules to retain just those desired means that cannabis alchemists can pick and choose from the more than 100 cannabinoids found in the plant, and retain just those they want. In a process known as fractional distillation, a substance is heated to specific temperature to separate components that turn to vapor at different points. 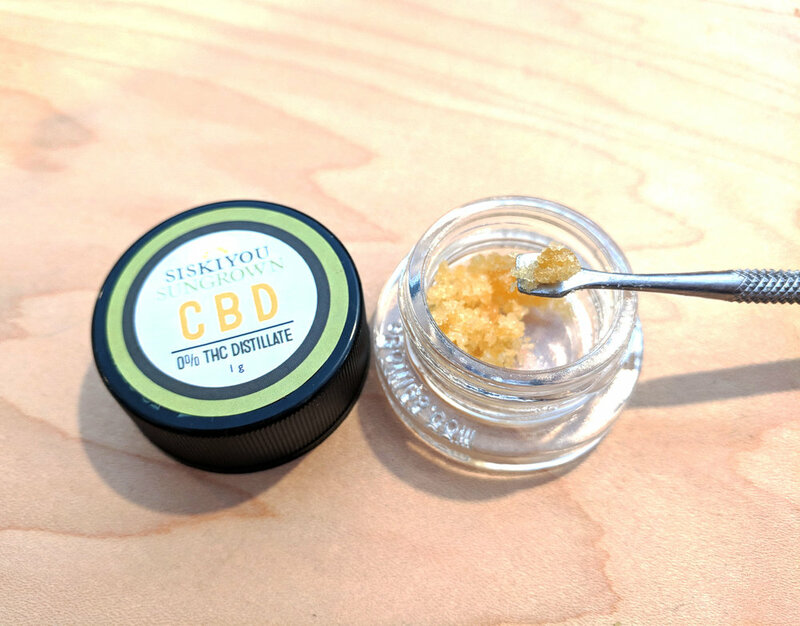 This allows us to take our award-winning strains of high CBD hemp and distill them down to a waxy resin that only contains certain cannabinoids. Why? Well, one reason is because sometimes you want all the beneficial attributes of CBD but just don’t want any THC. Our CBD Distillate contains more than 85% pure, powerful CBD: the balance is made up of other cannabinoids, retained terpenes, and beneficial compounds of the plant. But no THC. This is the one product where we break our own ‘always full spectrum’ rule, though the source material is indeed our own organically grown, whole plant, full spectrum hemp oil. But by refining it down to this substance we have a super effective CBD product that is absolutely free of THC, which, by its very definition means it cannot be full spectrum. We’re excited to bring this potent product to market. Because our distillate is intended to smoke, dab, or vape, it is incredibly fast acting, and has a delicious, mellow, pine-like flavor. We think you’ll like it as much as we do. Check it out here. How Clean is Your Cannabis?